Girding my loins today is Universal Studios’ announcement that they will be developing a “theme park within a theme park” based on the Harry Potter books and movies. 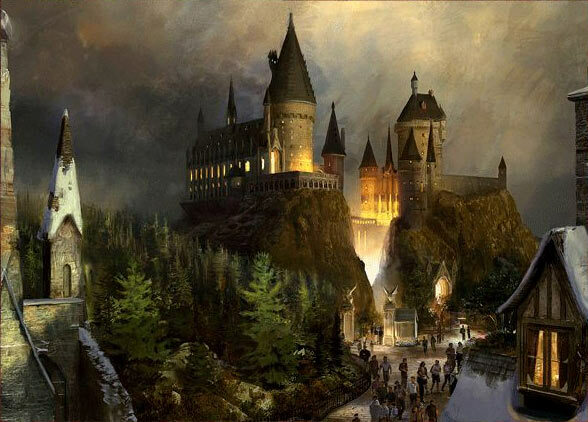 Covering over 20 acres, ‘The Wizarding World of Harry Potter’ will be a themed ‘land’ (like “Frontierland” or “Tomorrowland”) within Universal’s Islands of Adventure in Orlando Florida. 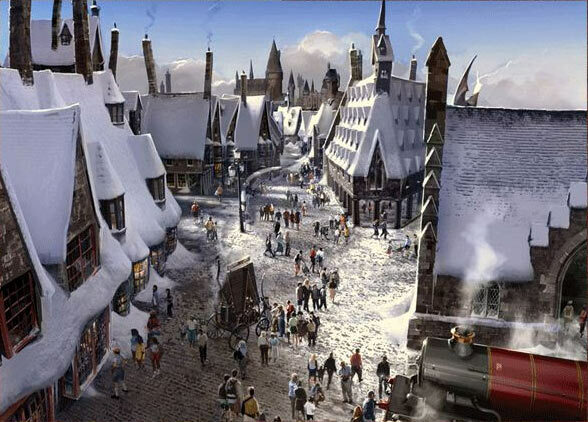 Universal say this area will contain contain ‘state of the art attractions’ and ‘experimental shops’. Which sounds slightly ominous. I’m a huge theme park nerd. As I said before, I don’t enjoy the rides as much as just walking around this completely artificial, fantasy world, soaking up all the simulacra. Combine this with the amazing production design of the Harry Potter movies, and you’ve got me hooked. Click here to see the announcement video.